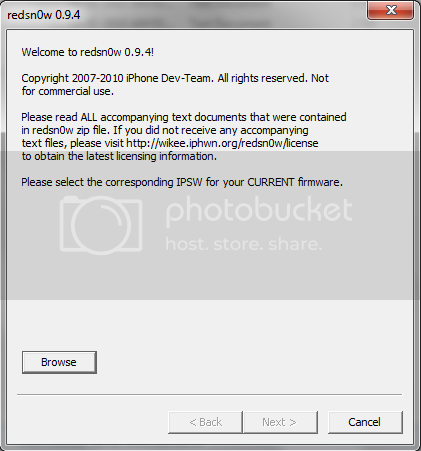 If you own an Apple device you’ll definitely be familiar with Redsn0w. Well, if you are not, then it is a tool that allows you to jailbreak and unlock Apple devices like iPhone, iPad, iPod Touch, etc. I used it several times on old iPhone 2G and my new iPhone 4 and I believe it is the best jailbreaking and unlocking tool for iPhone on Windows. So far there have been many redsn0w releases and only some version work with certain devices. For instance to jailbreak and unlock iPhone 2g OS3.1.3 you need 0.9.4 redsn0w. Moreover, some versions may not work on certain operating systems. So, I decided to place all the download links for different versions of Redsn0w so that it is easy for you to download. I’ll be adding more versions as I get them. If there is any particular version that you need or you have then let me know so that I can add it here. DISCLAIMER: I am in no way responsible for any damage caused to your device with the use of Redsn0w. The sole aim of this post is to maintain a entire list of releases by Redsn0w so far.